I’ve been reading John 15 all week. Today some dots were connected that I found particularly interesting…and painful…but mostly interesting. As you may or may not know, John 15 is about Jesus being the vinedresser. Part of tending to the garden is pruning. I have, in the past, attempted to grow roses. And we grew grapes for a while. 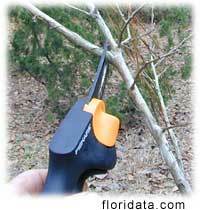 When you prune these things, you have to cut off parts that are viable for growth, perhaps parts of the vine or the rosebush that have, in the past, produced good fruit or beautiful roses. For me, it is not when God cuts of the dead or dying stuff that hurts the most. It is when He prunes a part of me that, in its season, produced some of the most beautiful fruit that I’ve ever seen in His life. Giving Him the license (which He already has becasue He is God, after all) is frightening. But, on the other side of the pruning, I understand why I’ve been pruned. Most of the time. Some of the time. On a lighter note. On the Mount of Transfiguration, how did the disciples know that it was Moses and Elijah with Jesus? They were from different times, so their faces would not be as familiar as the other disciples. There were no cameras, so it would not be the same as if I were to see Billy Graham. I don’t know him, but I’d recognize him if I passed him on the street. So, were Moses and Elijah wearing name tags? This entry was posted in abide, faith, God moment, real life. Bookmark the permalink. As your humble chill pastor, let me take a very humble speculation with the Moses and Elijah question…Matthew, Mark, and Luke all state that Jesus was speaking with Moses and Elijah…Luke goes as far to say that they were talking about His departure…His road to Jerusalem….Remember that the Gospels were written after the fact…I gotta believe that when this took place, the disciples were focused on every word of this conversation….We don’t know how long they spoke together, but I gotta believe that Jesus revealed the identity of Moses and Elijah during the conversation…He was confiming the Law (Moses) and the Prophets (Elijah)…To me this is one of those stories where I wished we had video footage…The Gospel’s only give us a Kodak snapshot…. And of course, I could easily be wrong!!! !…Keep asking those kind of questions!!!! Interesting questions… I recently blogged this topic as well. My question was a little different though, but I’ll pass it along so that others can ponder it too? Instead of asking how Peter and the others recognized Moses and Elijah, I asked why it was that Peter forgot all about Moses and Elijah when he wrote about it later in life. In Luke 9 (and Matt. 17, Mark 9), Peter is all taken up with Moses and Elijah being there (9:33). Why is it then, that when he writes about it in 2 Peter 1:17, 18, he doesn’t even mention them?